Lieutenant Colonel James Kirkcaldy, D.S.O. For conspicuous gallantry and resourceful leadership. When one of his companies was held up by machine-gun fire, he took charge and overcame the opposition. Later, by aggressive fighting, he got his battalion forward, and formed a defensive flank, using a rifle himself and directing machine–gun and trench-mortar fire, and drove the enemy from their positions. His courage and fighting spirit were an inspiration to all. James Kirkcaldy was born in Abdie, Scotland on 18 May 1866. After serving for over seven years in the Imperial Forces, he immigrated to Canada in 1891 and settled in Brandon, Manitoba. 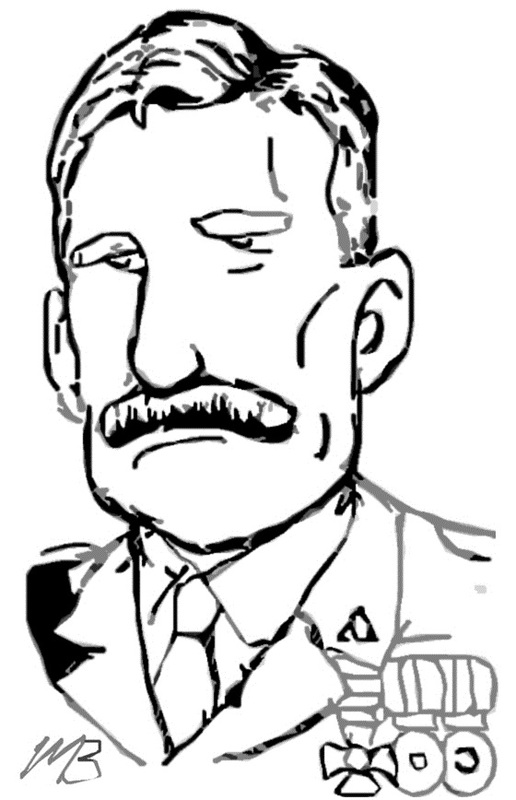 Shortly thereafter, the six-foot Scotsman was appointed the town’s chief of police, a post he held for the next thirteen years (1892—1905). A former member of the 12th Manitoba Dragoons and serving major with the 99th Rangers, in August 1914, Kirkcaldy enlisted in Louis Lipsett’s 8th Battalion at the rank of major. In anticipation of the declaration of war on Germany, Kirkcaldy had declared, “There is no question here as to the part Canada should play: her duty is to assist the Motherland.” Fighting with the 8th Battalion, he was wounded during the second battle of Ypres in April 1915. He returned to Canada in order to recover and raise the 78th Battalion from Winnipeg. The 78th arrived in France as part of the 12th Infantry Brigade in the 4th Division. Wounded again at the battle of Passchendaele, Kirkcaldy was replaced by Major J. N. Semmens on 16 November 1917. After four months of recovery, he rejoined the 78th on 19 March 1918. 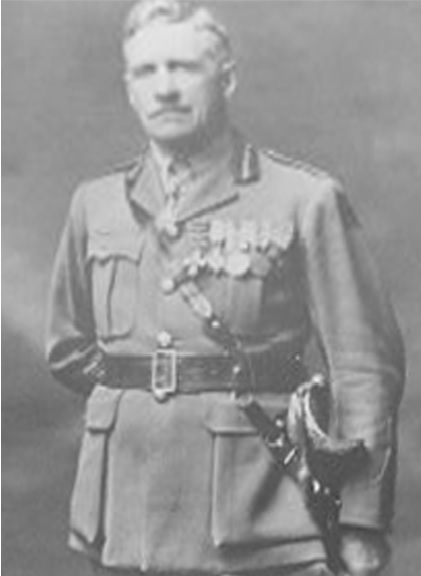 He remained in command until after the armistice when he was promoted to brigadier general in charge of the 12th Brigade. In recognition for his war service, Kirkcaldy received the Distinguished Service Order, two Bars and the Croix de Guerre. After returning to Brandon, Kirkcaldy continued to play an active role as a civic leader in municipal politics. During the 1920 provincial election, he contested the riding of Brandon City as a Conservative. The Brandon Sun endorsed the general as the best candidate to oppose the threat of socialism and communism. The newspaper explained, “[Kirkcaldy] had served the city and the Empire faithfully and well. He supplied leadership in many crisis abroad and can do so here at home where forces of unrest are taking advantages of injustices to provoke a greater crisis than any yet faced.” In the election result on 29 June, Kirkcaldy came in third to the “Red” candidate, Albert Edward Smith, a member of the Labour party and a Christian communist. Between 1934 and 1952, Kirkcaldy served as an alderman on the Brandon City Council. He died on 8 May 1957.